Do you have Hashimoto's thyroiditis? Are you wondering about how to treat or manage this condition? If so then you need to understand the main difference between the standard approach and the integrative approach to treating this disease. In this guide, you will learn the basics of Hashimoto's, what causes this condition, how it presents and the conventional vs alternative treatment options available. So what is Hashimoto's thyroiditis? In simple terms, Hashimoto's thyroiditis is an autoimmune disease of the thyroid (1). But what's an autoimmune disease? An autoimmune disease is characterized by a dysfunction in your immune system in which it accidentally targets, attacks and destroys your own body tissues. In the case of Hashimoto's this autoimmune target is directed right at the thyroid gland. The disease state is characterized by the production of very specific antibodies that float around in your serum and latch onto certain parts of your thyroid (2). Your immune system then attacks those targets and slowly destroys your thyroid gland over time. This process results in very clear cut symptoms which often lead patients into the Doctor's office. Many conventional physicians check only for serum thyroid status and often fail to check for serum thyroid antibodies. This may lead to confusion on the part of the patient as they are often told that their thyroid looks normal while they are left with symptoms such as fatigue, depression and weight gain. Believe it or not, it's not difficult to accurately diagnose Hashimoto's thyroiditis (treatment is another story) and it starts with knowing and understanding what causes the condition and how it presents. Before we jump into the specifics of testing we should talk about some of the controversy surrounding Hashimoto's. There are two main groups of thought when it comes to treating Hashimoto's thyroiditis. You'll find that the approach to treatment and management of Hashimoto's differs dramatically between the two groups. Understanding both of these approaches will help you determine how you want to approach treatment in your individual case. This approach is commonly referred to as the "wait and see approach" and it looks exactly how it sounds (3). In this approach, your Doctor may identify the presence of thyroid antibodies in your serum and give you the diagnosis of Hashimoto's thyroiditis but that's about it. From here on out your Doctor will likely recheck your TSH and free T4 levels until eventually, they become abnormal. At that point, your Doctor will place you on thyroid medication and you will be on this medication indefinitely. This treatment logic stems from the fact that autoimmune diseases are notoriously difficult to treat and there are no pharmaceutical options which are FDA approved for treating Hashimoto's (unlike other autoimmune diseases such as rheumatoid arthritis, psoriasis and so on). The idea is that over time, eventually, the thyroid antibodies will destroy part or all of your thyroid gland which will render your body reliant upon outside medication as a substitute. Because it's easier to treat hypothyroidism than it is autoimmune disease this is often the preferred choice for conventional physicians. This approach doesn't tend to sit well with patients who are often not happy with the idea of sitting around and doing nothing which has lead to the second approach which is the alternative and integrative approach. In this approach, the physician attempts to use various therapies (usually focused on lifestyle interventions such as diet, stress reduction, exercise and so on) to try and normalize immune function and reduce the autoimmune attack on the body. We will talk more about the various treatments used (you can skip down to that part if you want) later in this guide. Is the alternative approach considered better than the conventional approach? It depends on how you define treatment and which therapies you are considering using. Like any therapy, you need to weigh the potential risks vs the potential rewards. If the therapy has a high potential reward and a low potential risk then it's often worth considering. One of the most common recommendations used by integrative physicians to treat Hashimoto's thyroiditis is the use of specific diets such as the AIP diet. The conventional physician would say that this therapy has little to no value because it's "untested". But even if it is untested (which it isn't), what harm will changing the diet have on the outcome of the patient? At best you may notice an improvement in your symptoms (and a reduction in your antibody levels) and at worse, you will experience no benefit. Furthermore, newer studies have shown that certain diets may be able to slow down inflammation and alter immune function. Diets, such as the AIP diet, have been used effectively to treat other autoimmune diseases such as inflammatory bowel disease (4). It makes sense that using diet to treat Hashimoto's may have a similar benefit. One downside to the use of alternative therapies is that they are not well tested and may not work consistently for each patient. This doesn't mean you should avoid using them at all, but it does mean that you should have a clear understanding before you jump in. Because of the huge difference between the conventional approach and the integrative approach you, as the patient, should have at least a basic understanding of both. This will help prevent frustration when you seek alternative therapies from your conventional physician! It will also help you understand why it may seem like your physician isn't interested in treating your Hashimoto's. 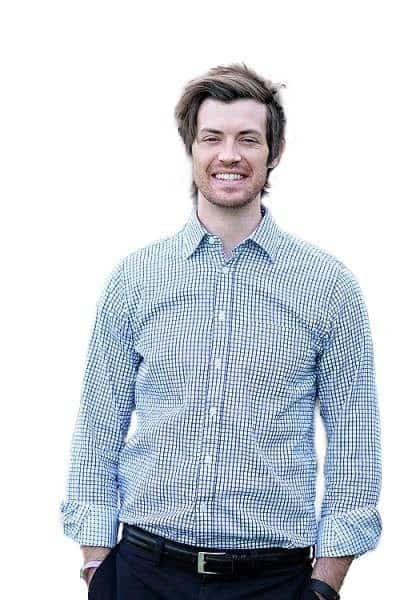 Perhaps the most important aspect of Hashimoto's is how this particular disease presents from a clinical standpoint. Hashimoto's is notoriously difficult to diagnose because the symptoms associated with this disease tend to fluctuate over time and tend to change in severity. This has to do with the progression of the disease and how autoimmunity impacts not only your thyroid but also other tissues in the body. The antibodies in Hashimoto's damage the thyroid gland directly but their presence also interferes with other functions in the body. 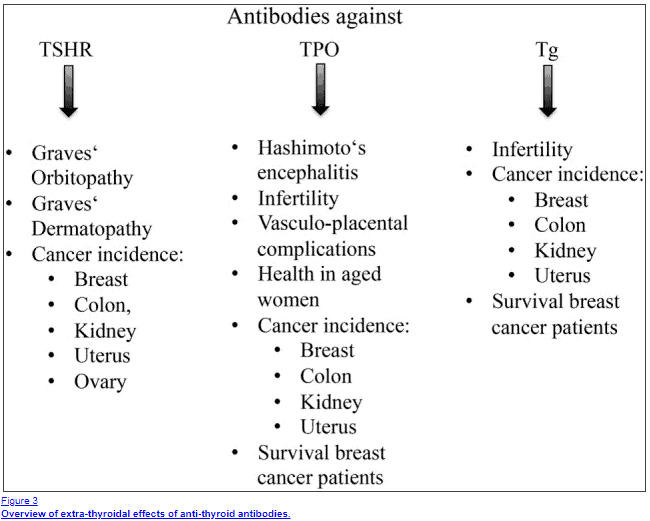 The presence of anti-TPO antibodies can be used as a long term predictor of health in older women and may increase your risk of developing certain cancer such as breast and colon cancer (5). Basically, this means that thyroid antibodies impact more than just your thyroid which means you may present with other non-specific symptoms! This is important because many of the symptoms associated with Hashimoto's tend to be blown off or diagnosed as depression or anxiety in a subset of patients. So with this in mind let's talk about the progression of Hashimoto's symptoms over time and how they may change. Early symptoms in Hashimoto's are usually non-specific. They tend to stem from whatever caused your disease in the first place (whether it be infection, stress or some other cause) and tend to be "low grade". These symptoms may lead patients into the Doctor's office but most likely the diagnosis will not be caught at this point because the symptoms often don't point back to the thyroid. These symptoms may be present for several months and may suddenly disappear or fade over time. The reason for this is that they are often replaced by hypothyroid/hyperthyroid symptoms or subclinical hypothyroidism as your autoimmune disease ramps up. Because thyroid function exists on a spectrum the severity of your symptoms may vary from mild to severe. Often symptoms tend to start out very mild and then progress to severe (or end-stage Hashimoto's) as the damage to your thyroid gland builds up and become permanent. This early damage may cause symptoms that closely match subclinical hypothyroidism. Subclinical hypothyroidism is a term used to describe a state in which your thyroid is slightly damaged but not enough so to present with abnormal thyroid lab tests. This damage often does cause characteristic, but mild, symptoms of hypothyroidism. You can read more about diagnosing and managing subclinical hypothyroidism here. Patients who fall into this early stage often benefit tremendously from thyroid replacement therapy but often this will not be offered as treatment. Many patients often miss the early stage of Hashimoto's and present to their Doctor with early subclinical hypothyroidism. At this stage, you may or may not be tested for thyroid antibodies (most people are not), but if you can identify the presence of antibodies you may be able to catch the disease early. For this reason, it's important to evaluate all patients who present with hypothyroid like symptoms (and even slightly abnormal serum thyroid lab tests) for thyroid antibodies. 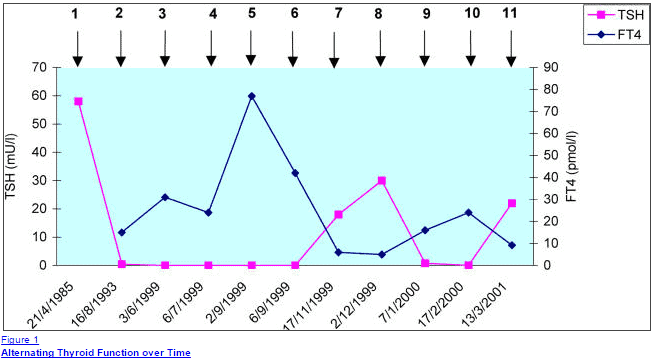 Another hallmark of Hashimoto's is the cyclical pattern of symptoms that some patients may experience. Because Hashimoto's is an autoimmune disease and because it often presents with inflammation of the thyroid gland itself (6) it may present with HYPOthyroid symptoms as well as HYPERthyroid symptoms. The damage from the immune system may trigger the premature release of excessive thyroid hormone which may "flush" the body and cause symptoms such as excessive sweating, heart palpitations, hot flashes and so on. These symptoms often mimic hyperthyroid symptoms and are also seen in other syndromes that cause thyroiditis. In between these episodes you may then go back to feeling hypothyroid with symptoms such as fatigue, more weight gain and so on. This alternating pattern of symptoms is very frustrating and confusing for the patient. How do you know if you are experiencing flare-up symptoms? Flare up symptoms tend to be aggravated by stressful situations (such as those from work or family life), from acute illnesses and other environmental factors. These symptoms can't always be avoided (or even treated) but you can do your best to prevent them by reducing the amount of stress that you are under, how many hours of sleep you get each night and by consistently eating healthy. End-stage Hashimoto's is characterized by complete thyroid gland failure and full-blown symptoms of hypothyroidism. In this stage the thyroid is often identified as atrophic via ultrasound testing serum thyroid lab tests will show gross abnormalities. This stage may occur after 10-20+ years of untreated Hashimoto's (but no time table is set for how long it takes for glandular damage). Patients who reach this point will be dependent upon thyroid replacement therapy and thyroid medication as a form of treatment because the gland is considered non-functional. These symptoms can often be managed as long as you are taking the right type of thyroid hormone which you can learn more about here. The entire goal of managing and treating Hashimoto's is to try and prevent this stage from occurring. If you can catch Hashimoto's early you may be able to slow down or completely prevent long term thyroidal damage. Now that we understand how Hashimoto's presents we can talk a little bit about what causes this disease. It turns out that there are several factors involved and it's not as straightforward as you might think. Genetics refers to the specific genes that you have inherited from your parents and these are set in stone (for the most part). The other, and perhaps more important, term is known as epigenetics. Epigenetics refers to the ability of certain environmental factors which can "turn on" certain genes in your body. So if you have a family history of Hashimoto's or thyroid disease it doesn't mean that you will necessarily present with that condition, but it does mean that you are at increased risk. Your risk is then determined by how many environmental factors you are exposed to throughout your life (9). These factors include your exposure highly stressful situations (10), iodine intake (11), your exposure to certain pathogens (12) (such as viruses), and even environmental toxins (13). The more exposure you have to these factors the more LIKELY you are to trigger your genes and develop the condition. This is generally how we think about the development of most diseases and it's true for autoimmune diseases as well. But knowing this information is helpful because if we understand the TRIGGERS of the disease then we can actively avoid them. In addition, if you understand the triggers you may be able to actively "treat" them which may reduce the progression of your disease state. If a stressful event, such as a divorce or death of a loved one, triggered your Hashimoto's then it's unlikely we can do anything at this point to fix that problem. But you may be able to focus on your ability to modulate your tolerance to stress by using meditation, taking supplements, etc. So what other factors and mechanisms may increase your risk for developing an autoimmune disease like Hashimoto's? Increased intestinal permeability (14) - Increased intestinal permeability is a condition which results when there is damage to the intestinal lining of the GI tract. Damage to the lining results in the absorption of unnatural microbes which may "flare" up the immune system and cause confusion between self and non-self. Intestinal permeability is often referred to as "leaky gut" and may be the driving force behind many disease states. Conditions such as IBS, IBD, and SIBO may increase your risk for developing increased intestinal permeability. Infections (Viral & Bacterial) - Viral infections such as mono have been well known to trigger autoimmunity in certain patients (15). 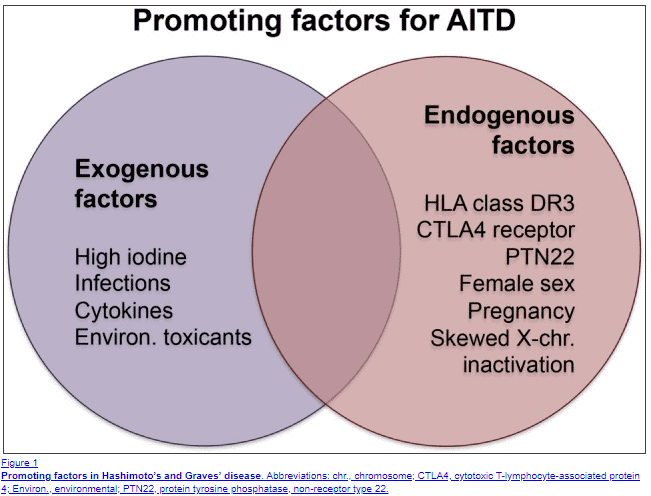 Other pathogens can also trigger autoimmunity through the mechanism listed below. 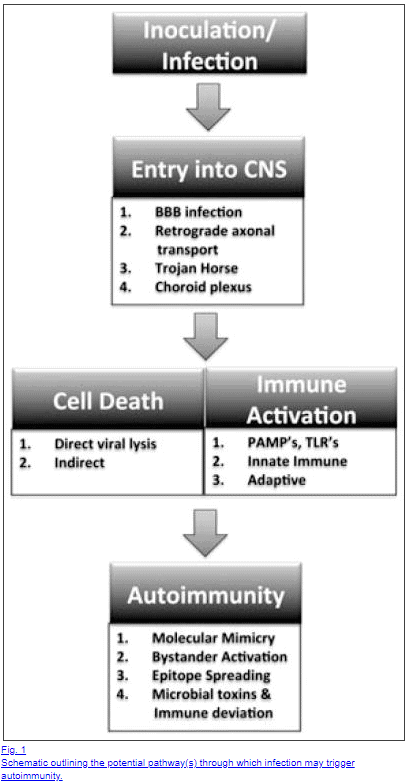 The idea here is that not all EBV infections (or other infections) will trigger autoimmunity, but certain people tend to be sensitive to autoimmunity based on predisposing genetic factors. Molecular Mimicry (16) - Molecular mimicry is a condition in which your body creates antibodies to normal foreign invaders but in which the antibodies created look similar to existing tissue. In this way, a normal immune response may lead to damage to existing tissues in the body. Certain bacteria and viruses may look similar to existing structures which may be why EBV tends to lead to Hashimoto's more than other viruses. Environmental triggers - Environmental exposure to endocrine disruptions may also increase your risk of developing Hashimoto's thyroiditis (17). These EDC's are found in foods, plastic wrappings, receipts and so on. By themselves, they probably don't result in a dramatic risk but when coupled with other factors listed here they may cause issues. Bottom Line: The development of Hashimoto's is a multi-factorial event and the exact cause may be difficult to find in each individual. If possible it's best to identify potential "risk factors" and remove or eliminate exposure to these areas. If you suspect that you have Hashimoto's or if you are experiencing the symptoms associated with Hashimoto's then how do you go about getting diagnosed? The best way to get diagnosed is through basic serum lab testing. The only difficulty in getting diagnosed is making sure that your Doctor orders the correct tests! Many physicians (because of how Hashimoto's is treated) may opt to not test for thyroid antibodies, so make sure that you ask specifically for these to be ordered. But the presence of antibodies alone is not sufficient for the diagnosis of Hashimoto's. Some conditions, such as pregnancy, may result in an elevation of thyroid antibodies but that doesn't mean you have Hashimoto's! The presence of thyroid antibodies combined with thyroid symptoms is often enough to diagnose the condition. Presence of thyroid antibodies + Thyroid Symptoms - This is perhaps the most common way to diagnose Hashimoto's. Presence of inflammation in the thyroid gland via thyroid ultrasound - Up to 10-20% of Hashimoto's may be detected via this route even in the absence of clinical symptoms. The vast majority of cases are diagnosed with the combination of serum lab testing plus thyroid symptoms. But up to 10% of cases may be "silent" and only caught with ultrasound testing. For this reason, it's very important to include a comprehensive history and physical from a knowledgeable physician! What specific tests should you be looking for or asking for? I've included a list of thyroid lab tests that will allow you to have a more complete view of thyroid function in your body. Elevated thyroid antibodies are easy to spot and if they are elevated they will stand out like a sore thumb on your lab testing. Unlike other thyroid lab tests, an abnormal result is one that is above the standard reference range. Unfortunately, the absolute value of your antibodies may not be as important as the fact that they are elevated. Perhaps the most important part of managing Hashimoto's is how you go about treating the disease. When it comes to treatment there are two main treatment paradigms that you can follow. We've touched on these briefly above, but it's worth going into detail here. It's important to understand both treatment paradigms because then you will understand which type of Doctor you should look for. Those who are fine with the conventional paradigm will do best with physicians such as Endocrinologists and family practice doctors. Those who would prefer the integrative approach will probably need to seek out physicians who specialize in integrative, functional or holistic medicine and this often means looking outside of the insurance model. I bring this up because it can be difficult to get a conventional doctor to treat you in an integrative way and vice versa. The conventional approach is actually fairly straightforward. Physicians who practice this approach will monitor your blood work every 3-4 months and wait until the TSH reaches a critical point at which you are then diagnosed with hypothyroidism. At this point, they will then start you on Synthroid or levothyroxine and treat you based upon your TSH. The goal during treatment is to focus primarily on the TSH and less on symptoms and other lifestyle factors. This approach may work well for some people, but others may find it lackluster and may prefer to be more aggressive. For those seeking a more active approach to treatment, they may find success with the alternative approach. Diet is perhaps one of the best ways to potentially address immune function and treat Hashimoto's. Not many studies have shown that any one particular diet is effective at reducing autoimmunity but many patients have anecdotal evidence that certain diets are more effective than others. Because of the link between gluten sensitivity (Celiac disease) and autoimmune diseases (19) many physicians recommend a gluten-free diet. This is often accompanied by going dairy free as well which may further help to treat intestinal issues. Other diets that may be effective for altering immune function include the AIP diet, the ketogenic diet and Whole 30. Basically, any diet that removes highly processed foods, gluten, sugar, and potential inflammatory fats may reduce your symptoms and help drop your antibodies. The difficulty in changing your diet is that your diet should be personalized to you. This means that there isn't one "best" diet and you must arrive at your particular diet through trial and error. Because this can be difficult it's often helpful to use a functional nutritionist or other coaches to help zero in on what your body needs. Certain supplements can also be used to potentially improve thyroid disease and bolster the immune system. One such example is the use of Vitamin D in patients with autoimmunity. It is well known that people with low Vitamin D levels have an increased risk of developing an autoimmune disease, including Hashimoto's (20). With this in mind, it may be helpful to supplement with Vitamin D.
Other nutrients such as Zinc, Selenium, and Iodine may also promote proper thyroid hormone production and peripheral thyroid conversion (21). Like your diet, your supplement regimen should be individualized to your body and your needs. Taking too many supplements or taking the wrong type of supplements may actually be counterproductive. One such example is the use of iodine in patients with Hashimoto's. Some cases of Hashimoto's may actually be triggered by excessive iodine intake, so supplementing with Iodine may make your condition worse. Because of this, it's best to only supplement if you have a documented deficiency in a certain nutrient! You can learn more about which supplements are potentially helpful for Hashimoto's in this guide. LDN is a medication and the name is short for "low dose naltrexone". Naltrexone is a medication that is often used by integrative physicians because it may have immune modulatory effects when taken at low doses (22). LDN has few studies showing it is effective for such purposes, but up to 50% of patients who use it strongly believe that it is effective at lowering antibodies and reducing the symptoms associated with Hashimoto's. LDN may also be helpful for weight loss and it is often combined with Wellbutrin in a medication known as Contrave. There are few documented side effects from using LDN meaning it either works or it doesn't and may be worth a try in certain patients. Certain therapies such as meditation and mindfulness may be helpful in reducing the impact that stress has on your body and in increasing your stress resilience (23). Because eliminating stress is not always possible, adopting certain techniques may help improve your overall quality of life. If you can reduce the impact of stress on your body then you may be able to improve immune function through this way. Some physicians may focus on treating chronic infections such as HSV and EBV (24) with the use of antiviral supplements or antiviral medications. There isn't much clinical evidence to support this therapy but it may be effective for certain individuals. Treating gut issues is another way that some providers attempt to improve immune function. Because the gut plays a central role in immunity and because dysfunction of the GI tract may result in increased intestinal permeability, it is a good target for treatment. Addressing issues such as IBS, IBD, intestinal permeability, SIBO, acid reflux, and intestinal dysbiosis may help impact immune function and result in an improvement in antibody levels (25). Lastly, alternative providers tend to use thyroid medications but they tend to opt for different types of thyroid medications when compared to their conventional counterparts. Most conventional physicians use T4 only medications such as Synthroid and levothyroxine while alternative providers tend to use a different type of thyroid medication known as natural desiccated thyroid. Natural desiccated thyroid or NDT for short contains a combination of T3 and T4 and some studies suggest that people respond more favorably to this medication over T4 only preparations. The one downside to using NDT is that it may trigger autoimmunity in certain individuals because the medication is porcine-derived. This means that you are consuming porcine thyroid glandular tissue which can potentially activate the immune system. Hopefully, this information is not overwhelming to you, especially if you are newly diagnosed with Hashimoto's thyroiditis. Because this condition may impact your thyroid function long term it is important that you have a basic understanding of this disease, what causes it and how to treat it. Determining how to proceed with treatment may be the most important aspect of managing your autoimmune disease. Make sure you decide what works best for you and your goals and then proceed to find a qualified physician who can help you reach those goals! Do you have a known diagnosis of Hashimoto's Thyroiditis? Do you suspect you have Hashimoto's but you've been unable to get the right tests? Are you currently using the "wait and see" approach to therapy? If you've undergone alternative therapies please let us know which ones worked well for you and which didn't! The more information we have regarding these therapies the more people we can help.